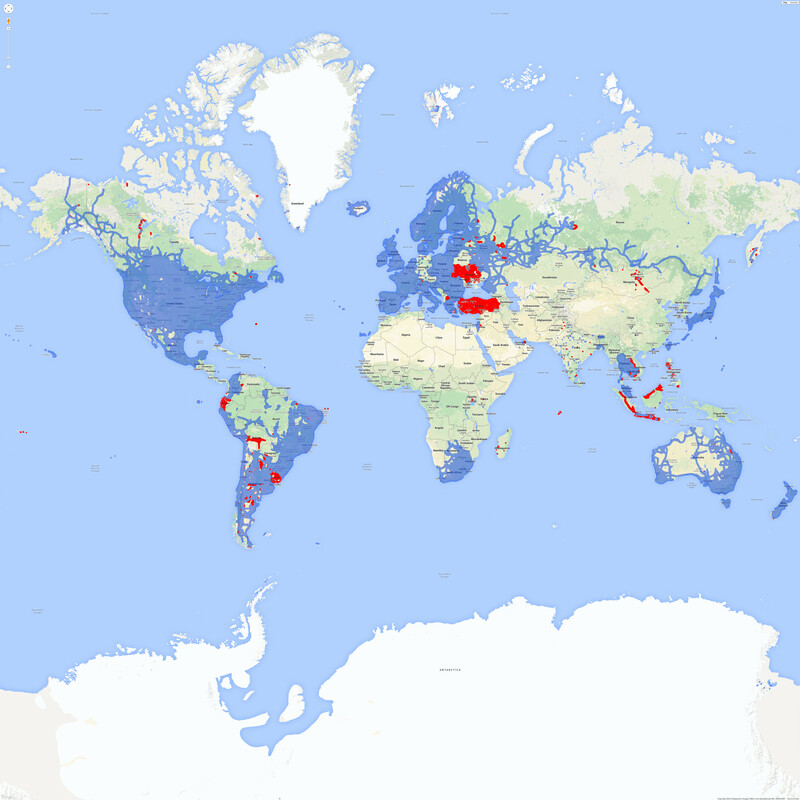 Street View extended its coverage over the course of 2015, most notably in South America, Eastern Europe and South East Asia. We only started keeping a high resolution screen shot of coverage in March after Bangladesh and Greenland had already got Street View, so we are only able to show a ‘Street View changes map’ from March to December. Below are all the posts we have written this year about new coverage.